Yep, going there. Checking in today with one of my favorite projects thus far for an end of the year project. A solution, per say, for all those cardboard boxes you are about to store away, or throw away. If you're like me, you might hate clutter and things that take up a lot of space up in your house. And more often than not you throw away items (in this case: gift boxes) just so it's out of the way and is one less thing to store away for a year. Or, who knows, maybe you are a box hoarder? 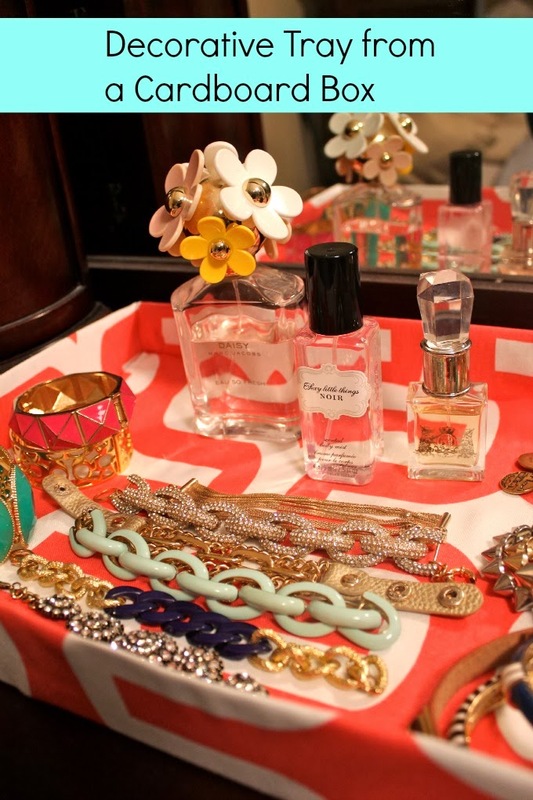 If you can spare one to make a pretty tray...here's a quick and inexpensive project for you! Find an empty cardboard box of the size you want for a tray. 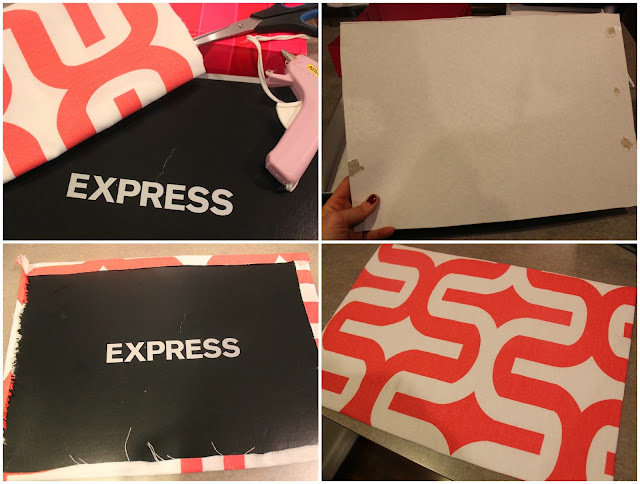 I just used an Express box we had on hand. I would try and use the sturdiest box you can find so that the sides of the tray stay put and that it's not very flimsy. Your last step is just popping the already finished piece into the bottom of the tray. Bam...you've got yourself a brand new tray to store anything you'd like! These trays are so awesome because you can never have enough of them. You can literally store anything and everything on them. I wanted one for all my bracelets so that I could see and access all of them easily, but you can use this for perfume, watches, etc. So if you're looking for an easy project and you have 10 minutes and $5.00 to spare, you too can have yourself a pretty tray. It's that easy, trust me. And because I love me a good tray like I said above, you shouldn't be surprised that I have another tray tutorial using a shadow box picture frame if you're interested. Awesome idea!!! 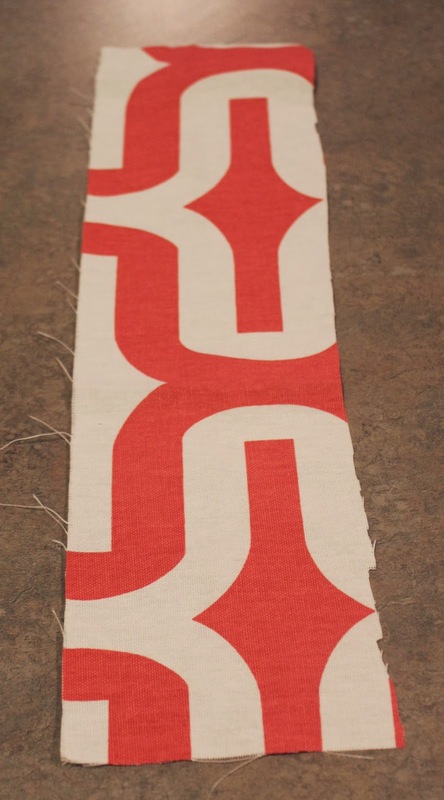 Just might head to Hobby Lobby on my lunch break to grab some pretty fabric to make one of these for myself!!! Love all your pretty bracelets too!! Cute! now can I have all of your jewelry please & thanks? Love this idea! A hobby lobby just opened by me I think this would be a good excuse/project to head over there for! you blow my mind with your creativity! love it! Cute idea, and so simple! What a great way to organize things around the house! Such a cute idea, and I love all the jewels! This is SUCH a cute idea! I'd almost like to make one for my BFF because I have little to no jewelry and she's got more than she knows what to do with-- unless you want to send me some of yours, take me shopping, style me, and accessorize me! This is brilliant!! I will have to make a few of these. I made one of these today and it turned out so great!!! Thanks for the idea. I want to make a hundred of them now lol!